Economy Star Figure trophies are a budget-friendly way to recognize scholars or athletes. 7" tall bright gold figure is on a white genuine marble base. 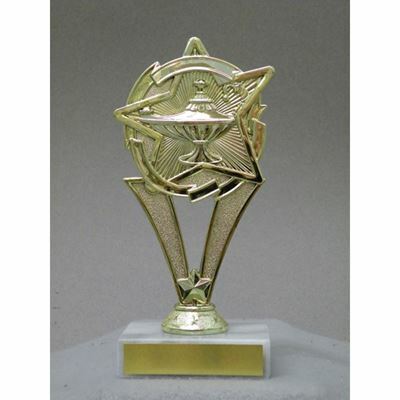 Bright gold Star Figure trophies come on a black premium round polymer base. 8.5" tall.